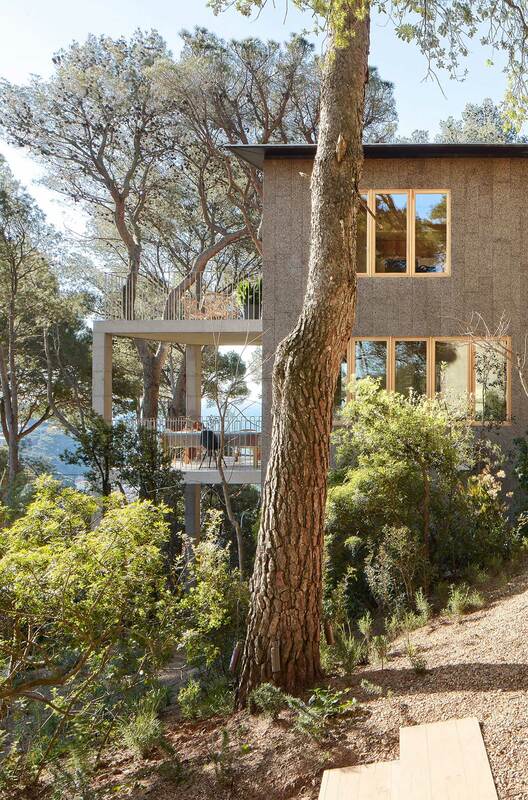 Two houses rest upon a sloping site both completely immersed in the dense woodland of Palafrugell, Spain. 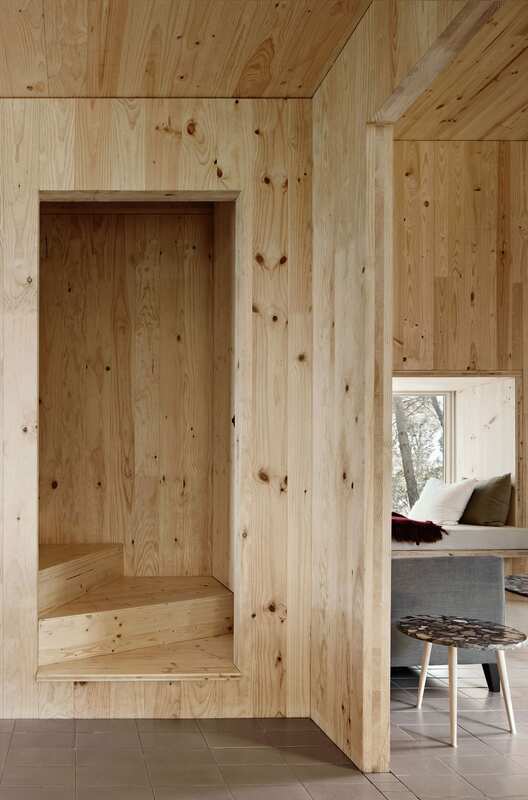 Wrapped in cork panels, these stealthy structures mirror the stippled texture and mottled grey tones of surrounding slender pine and towering oak trees. 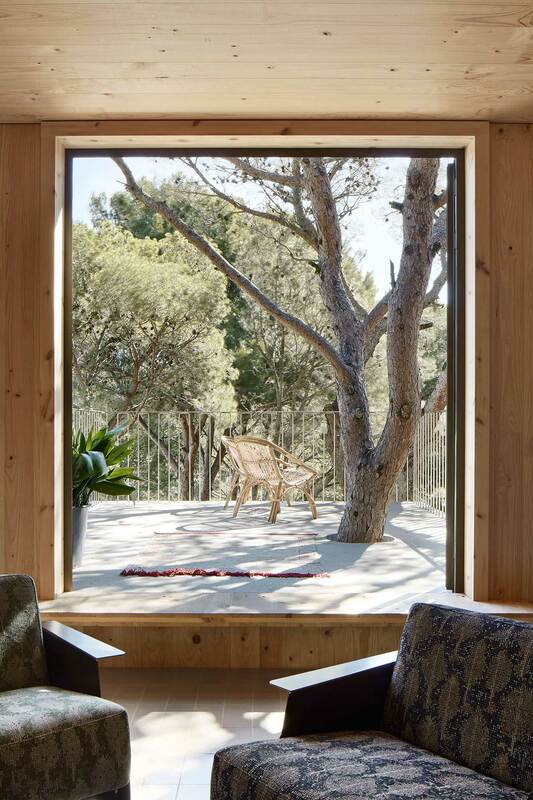 The holiday homes are by López Rivera Architects and are located in a region of Costa Brava where cork was formerly produced. 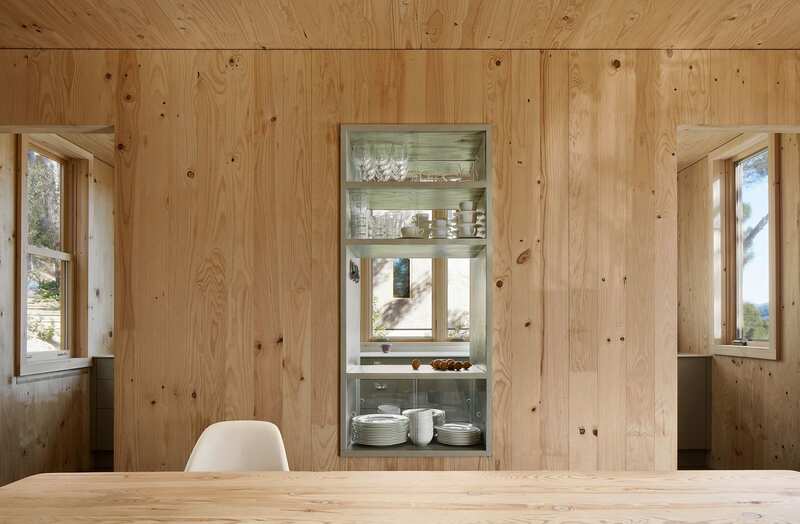 Although the houses are not identical, both are constructed from cross-laminated timber (CLT) that sit on a structural concrete base. 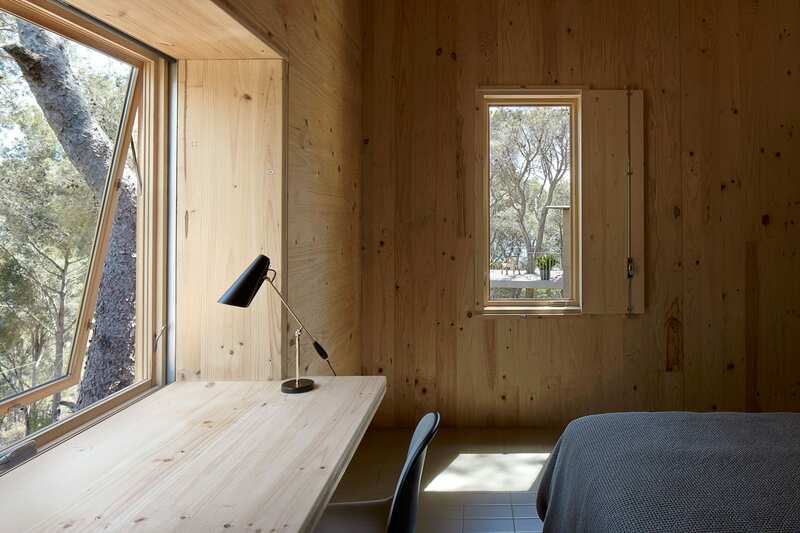 López Rivera Architects have used CLT on several projects of various scales celebrating and embracing the increasingly popular building system as a more efficient, sustainable and cost-effective alternative to concrete or steel. The manufacturers, who are based in Basque Country, craned the large members onto site with one layer of cork prefixed to each external panel. The second layer of 50mm thick cork was adhered onsite using breathable, hydrophobic lime mortar. 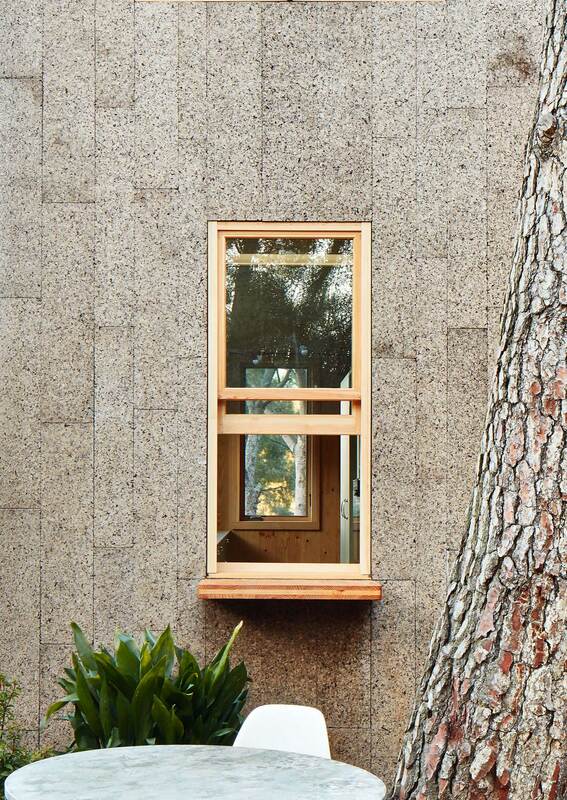 Windows are scattered along the buildings to capture views of nearby terrain, treetops or the coastline beyond. 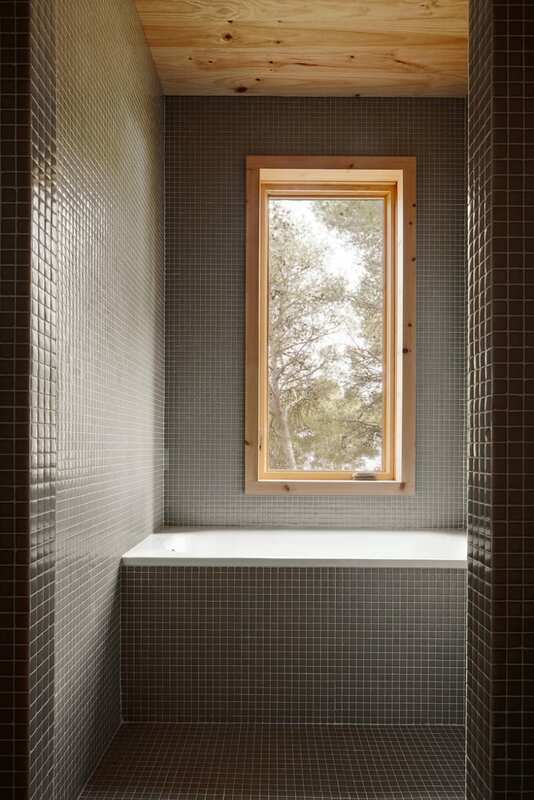 Instances where windows protrude from the building face create opportunities for a number of internal interactions. Inhabitants are free to lounge in a window seat, display objects on a low ledge or admire the landscape from a built-in study desk. 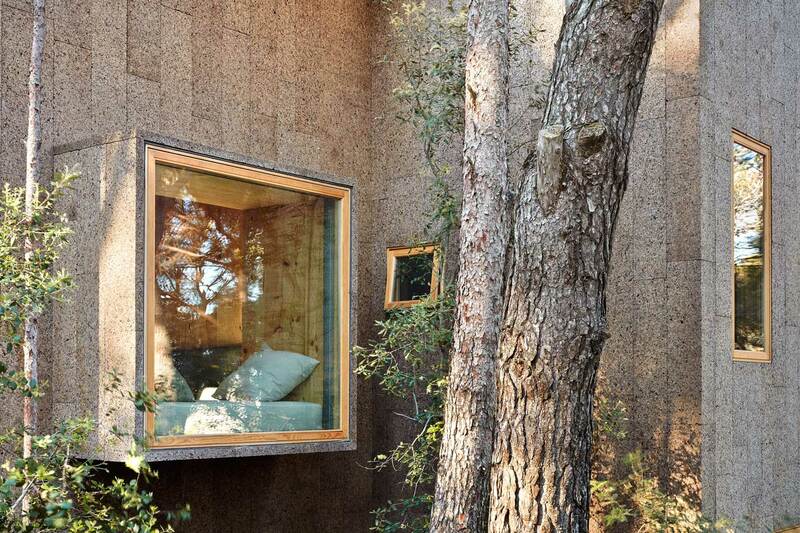 The earthy tones and natural patterning of cork are visually stunning, but as a cladding material, it certainly punches above its weight. In contrast with popular assumptions, cork is extremely waterproof (think wine bottle corks), resistant to abrasion, acts as a fire retardant and is a good insulator. On top of that, it’s also renewable, recyclable, harvested sustainably and significantly carbon negative. Impressive, right?! It’s no wonder that both houses received Class A energy ratings which is the highest achievable classification by Spanish standards. López Rivera Architects have created a pair of dwellings that are modest, sensitive and interact intimately with their immediate surrounds. 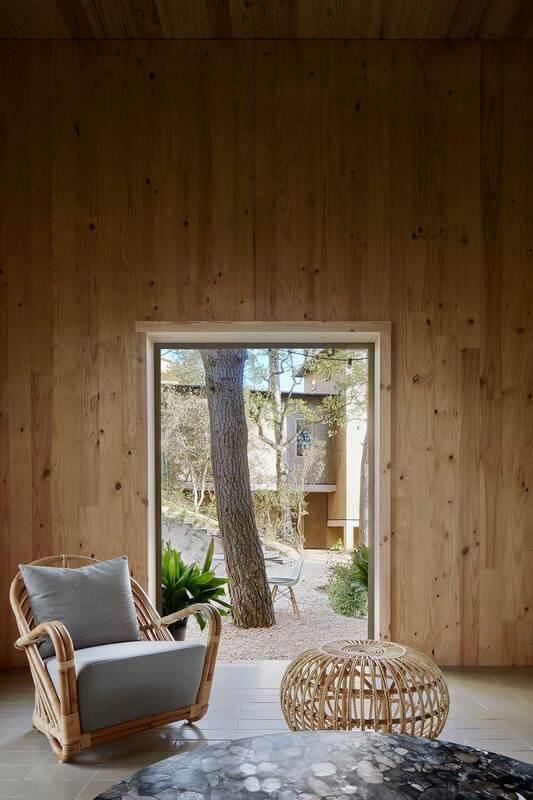 They’ve also embraced sustainable technologies and materials that promote “environmental adaptability in a landscape dominated by the presence of cork trees.” A job well done! 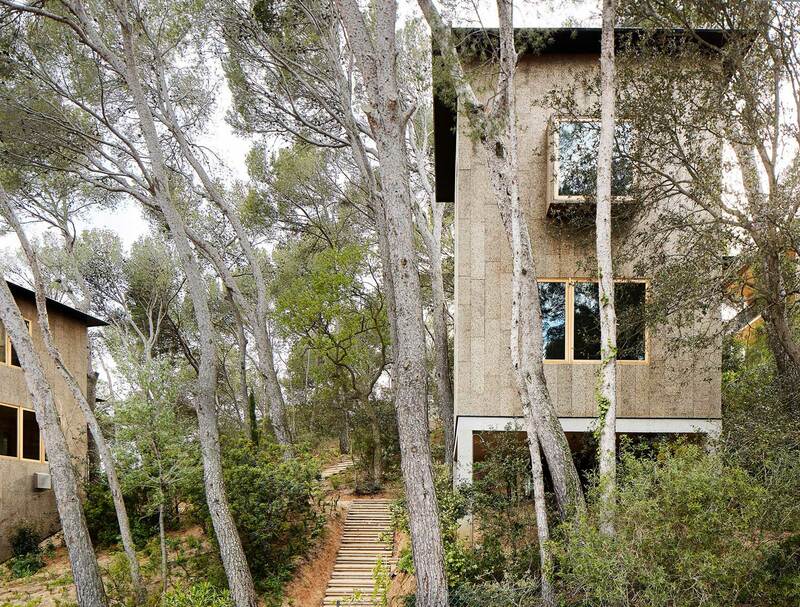 The post Two Cork Houses in Palafrugell, Costa Brava by López Rivera Architects. appeared first on Yellowtrace.